Luxurious next to the body, heavenly to a knitter's hands--the beauty and versatility of all-natural yarns make them more popular than ever. But what are the best ways to use these fibers? Now you can become a natural-knitting connoisseur with this complete introduction to 10 great fibers. This incredible resource is packed with proven tips on how to knit with angora, silk, alpaca, qiviut, cashmere, mohair, and more. 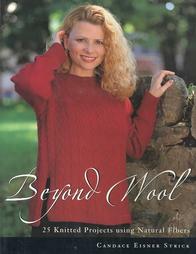 Gorgeous sweaters and fashion accessories show off the unique characteristics of each yarn. Whether you prefer dazzling or down to earth, you'll find a design that suits your style.